Backes & Strauss is delighted to announce its partnership with English National Ballet. The partnership will involve a close collaboration between the two companies both in the UK and internationally. Tamara Rojo the Prima Ballerina and the Artistic Director of ENB will become the ambassador for the very feminine Victoria collection. “I am thrilled to be working so directly with a brand with a rich history and heritage and I can relate very easily to the Victoria collection which represents the grace, finesse and precision that is central to the world of ballet” stated Ms. Rojo. Vartkess Knadjian CEO of Backes & Strauss added that as a company proud of its British heritage we are delighted to be associated with English National Ballet the quintessential British dance company that through its creativity broadened the appeal of Ballet throughout the world. 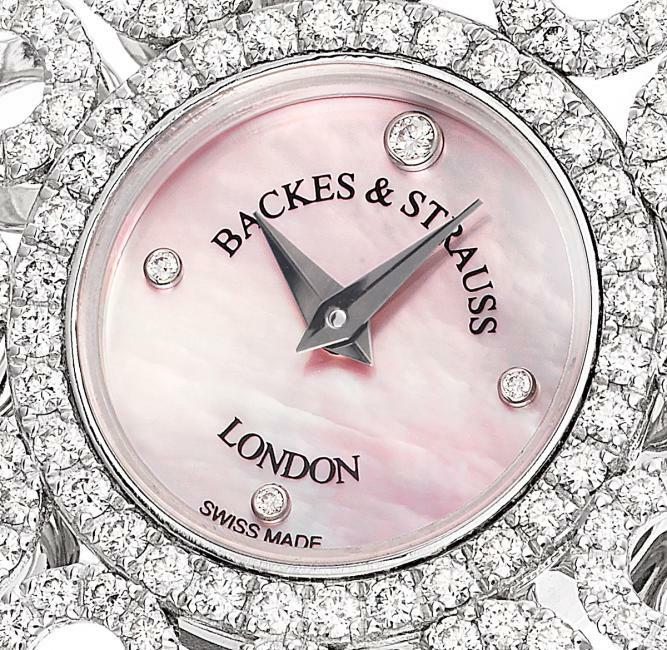 Today, Backes & Strauss is part of the Franck Muller group. Backes & Strauss and The Franck Muller Group are masters of the art and science of their respective crafts. While Backes & Strauss is occupied with light and Franck Muller is concerned with time, both share a devotion to mathematical precision. The result of this meeting of masters is a collection of timepieces so intricate, they are veritable masterpieces both inside and out. Drawn from the Backes & Strauss archives, a 19th century brooch with two linked hearts was the starting point for today’s Backes & Strauss sumptuous Victoria diamond watches. Those linked hearts are now fully intertwined and they have become their own motif, repeated again and again in a circle of everlasting love, like that of Queen Victoria for her husband Albert. She was so smitten with him, she proposed the second time they met. English National Ballet brings world class classical ballet to the widest possible audiences delighting them with the traditional and inspiring them with the new. Under the leadership of Artistic Director Tamara Rojo, it aspires to be the most exciting and most creative ballet company in the UK. Trained in Madrid at the Victor Ullate School, she is the Artistic Director of the English National Ballet as well as performing with the company as Prima Ballerina. Tamara has been repeatedly recognised for her artistic excellence and elegance. She won several ballet awards internationally which highlight her fantastic creativity. Drawn from the Backes & Strauss archives, a 19th century brooch with two linked hearts was the starting point for today’s Backes & Strauss sumptuous Victoria Princess diamond watch. Those linked hearts are now fully intertwined. They have become their own motif, repeated again and again in a circle of everlasting love, like that of Queen Victoria for her husband Albert. She was so smitten with him, she proposed the second time they met. Evidently, in the spirit of women going after exactly what they want in life just like Queen Victoria once did, the Backes & Strauss Victoria Princess watch has proved such a hit with a lengthy list of international pre-orders, that Backes & Strauss are now limiting production to five pieces a month. This is a watch that is feminine in the extreme. The tactile interior gold finish of the bracelet has been designed for ultimate comfort. 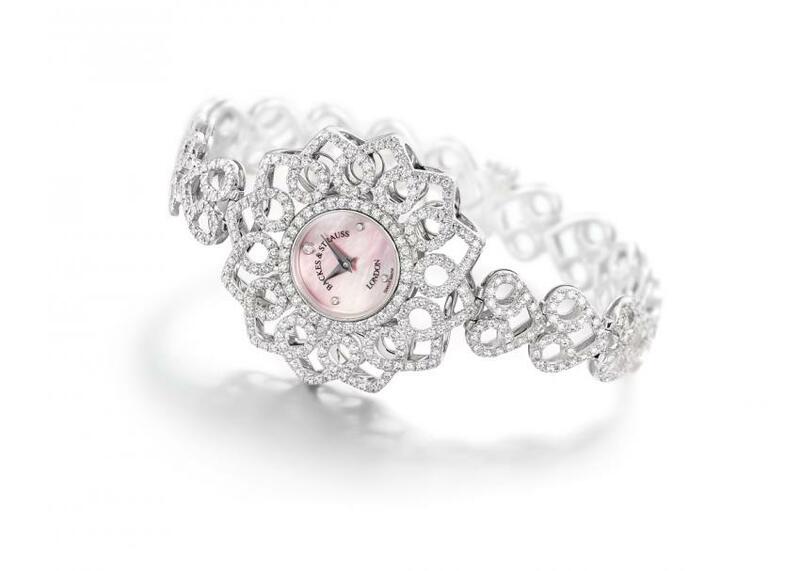 “The Backes & Strauss Victoria Princess watch looks just as glamorous on a bride or débutante as on a kimono-wearing Asian beauty. 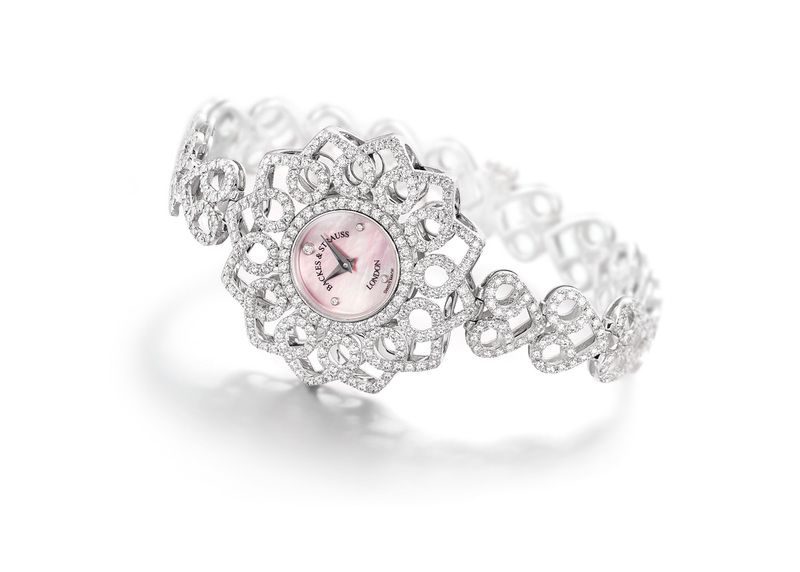 It’s a modern woman’s evening watch,” says Vartkess Knadjan, Backes & Strauss CEO. With a pink mother of pearl dial, the watch is set with 604 Ideal Cut Hearts & Arrows diamonds totalling 5.5 carats. Thanks to hundreds of hours of planning, precision cutting and hand polishing by our diamond experts, when viewing a Backes & Strauss diamond up close with the help of a special viewer, a perfect series of eight arrowheads becomes visible on the top of the stone. When examining the stone from beneath, eight hearts circle the diamond. Every Backes & Strauss watch comes with its own Hearts and Arrows viewer, a testament to our dedication to perfection.